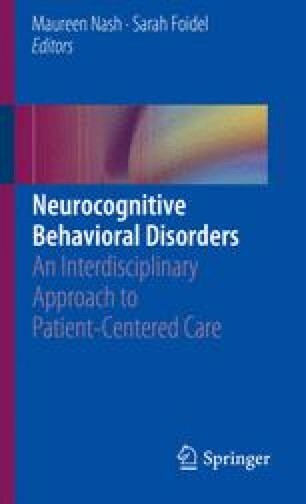 Assisting professionals to care for those with major neurocognitive disorders (MNCD), including the inevitable neuropsychiatric symptoms, using the person-centered philosophy is the goal of this text. After a review of the history of person-centered care planning, a model to assess/evaluate a person’s behavioral communications is presented. The viewpoint for all care starts with a strength-based assessment of the person living with dementia. The framework makes use of the supported decision-making paradigm. After assessment, there is a review about choosing and applying person-centered interventions using regular monitoring of outcomes. AM is an 84-year-old woman who has lived in a memory care facility for the last 3 years and has severe MNCD. AM is able to answer to her name but has decreased verbal generative fluency. She smiles and nods her head in greeting, but does not engage in conversations. She follows the housekeeping staff around during the day. Her family believes that AM enjoys watching cleaning when it is done well. They report similar behavior in AM’s younger years; she liked keeping the house clean when her children were young. She also liked to cook, but hasn’t done any cooking for the last 20 years. AM’s behavior began to change about 3 weeks ago. She frequently becomes distressed, screaming at staff and chasing people who come into her room. These episodes occur on an almost daily basis, typically in the late afternoon. She takes several hours to calm down when she becomes upset. She has lost 17 pounds in the last 4 months. No precipitating factors or changes at the memory care unit have been identified. Her daughter’s visit frequency is about the same. Per family, AM would not have described herself as a religious person. Homemaker, kept a spotless house, was an excellent cook. Liked getting her nails done, has not been able to sit for this in the past 6 months. One daughter is married with a grown child of her own, lives near the Memory Care Unit, and visits most days. Neuropsychiatric Inventory-Q form: score – severity 14, caregiver distress 18. AM perspective: “No pain” was the last conversation about this, which occurred approximately 2 years ago. She has not been able to verbally provide additional input, although she has been communicating distress with her behavior. Daughter: Family supports a focus on comfort. They are unsure what might be causing AM’s current outbursts. Interdisciplinary team: Focus is on keeping AM comfortable and minimizing pain. Consideration is being given to current increase in distress and whether it is related to pain. Team is pondering if AM has started the transition to the end of life and estimates the trajectory over the next 1–2 months. MSSE suggests life expectancy of 6 months or less. Referral to hospice services is recommended to AM and her family. Reason for care plan update: Regular reassessments completed by all members of the team, now working on interdisciplinary care plan for BN. BN is a 79-year-old woman who has lived in assisted living facility for the last 3 years and has mild MNCD. BN is able to have conversations. She enjoys talking, reading, and playing cards. She loses track of conversations at times and has limited recall. Notes don’t seem to help much. Roman Catholic background. Attends mass on Sundays. Librarian, loves to read, is in a book club at ALF. Likes getting her hair done. Husband was a civil servant. No children. Niece lives in a distant state but calls BN once per month. BN’s perceptions: Things seem good right now. Lots of minor medical issues, but living here has been good for me. I have a whole new group of friends. The food is pretty good too. Other interdisciplinary team members – continue to support optimal quality of life. Life expectancy is less than 5 years. DNR is in place. If benefits of an intervention are less than risk over next 5 years, advise against them. Other interdisciplinary team members – Allen cognitive level 4.6 mild-moderate functional impairment. Strengths are ability to scan the environment and utilize objects if they are visible. BN perspective: I get nervous sometimes. I am not depressed. I enjoy being as active as I can. Other interdisciplinary team members – the emotional impact of dialysis is emerging as an area to attend to closely. At some point, if it causes too much distress, will need to discuss stopping dialysis. BN perspective: I can tolerate dialysis for now. Maybe not for too much longer. Otherwise, I don’t think I have medical problems. Other interdisciplinary team members – continue much of current care. Frank conversation now with BN and her niece and the PCP about the future of stopping dialysis. Begin to plan for that. Send documentation of care plan to nephrologist and offer to have joint meeting with PCP, BN, and niece by phone with nephrologist. BN perspective: I really like living here. I have friends and enjoy activities. Other interdisciplinary team members – At the current time, BN’s needs are being met well here. Continue to focus on maximizing ability to be as independent as possible.